With the exception of a few Friday Fives, I have barely blogged in the last month. I’m sure a few of you noticed, but I wanted to let you know the point was not lost on me either. I’m not sure what the deal is. I’ve been busy. I’ve stopped a job. I’ve started a job. I’ve cooked. I’ve baked. I’ve taken photos. I’ve Thanksgiving’d. I’ve Nutcracker’d. I’ve Christmas Concert’d. I’ve Etsy’d. I’ve had a very sick pup on my hands. All valid excuses, but excuses nonetheless. There are so many things I want to share with you about our recent happenings. 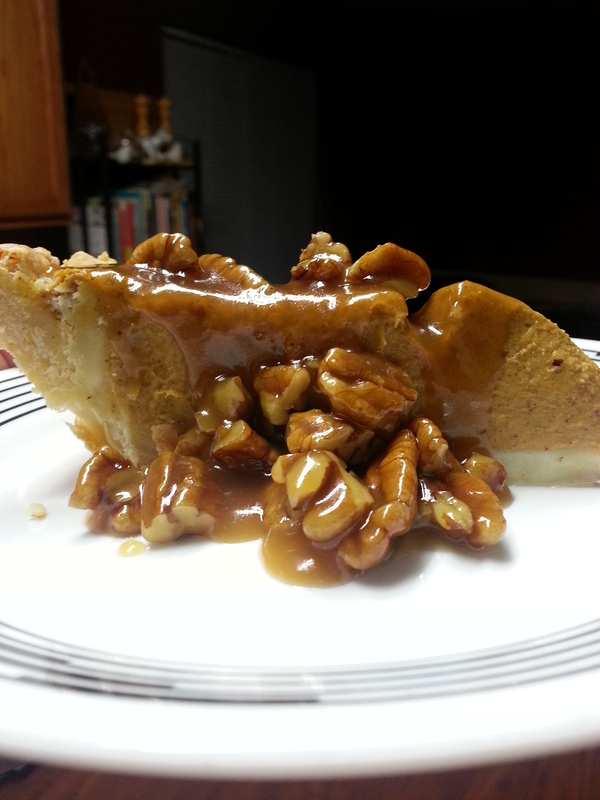 Namely this pie. But, I’m honestly finding it hard to whittle out time to share all of the deets. It’s lame, I know, but you guys deserve to read more than bullet points. There will….WILL…be posts about November. Probably a few at least for Thanksgiving, but for now I’ll fill you in more about the last two weeks, as they seemed to have vanished before me. Yo, time…slow down! Let’s start with The Nutcracker. Man, do I love that music. There’s not much new I could tell you about this year’s performances versus last year’s. 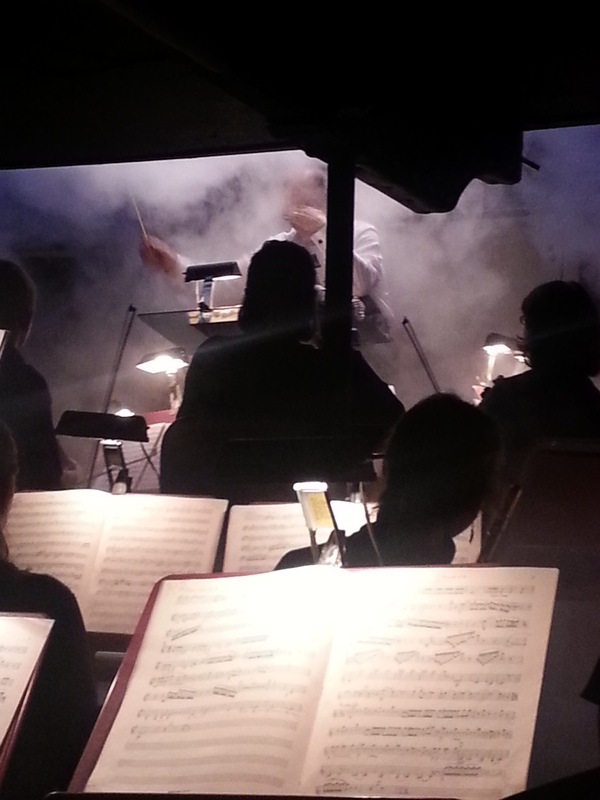 I still love the music and the fog, though not as bad as last year, did a good job of choking our conductor at the beginning of Act II. I played fourth horn again—not a part I have typically played in my career. Low horn player I am not. But Tchaikovsky was a traditionalist. His parts are straightforward and, while taxing at times, the fourth part basically sustains really loud, not-too-low notes for two hours. 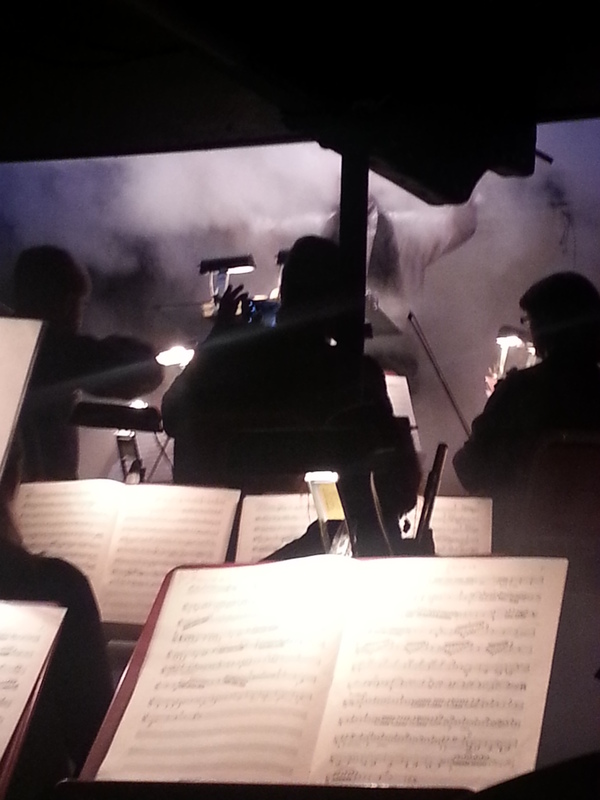 I also like sitting in the corner of the pit and keeping to myself with a book during those long Tacet numbers. The Nutcracker is totally my jam. I know I mentioned it briefly last week, but we really need to talk about Bella again. This poor, poor pup. I guess I should feel more gratitude that she’s hardly ever been sick or even felt bad. And I would….if she hadn’t had nine years of feeling good go to crap in a two-week period. 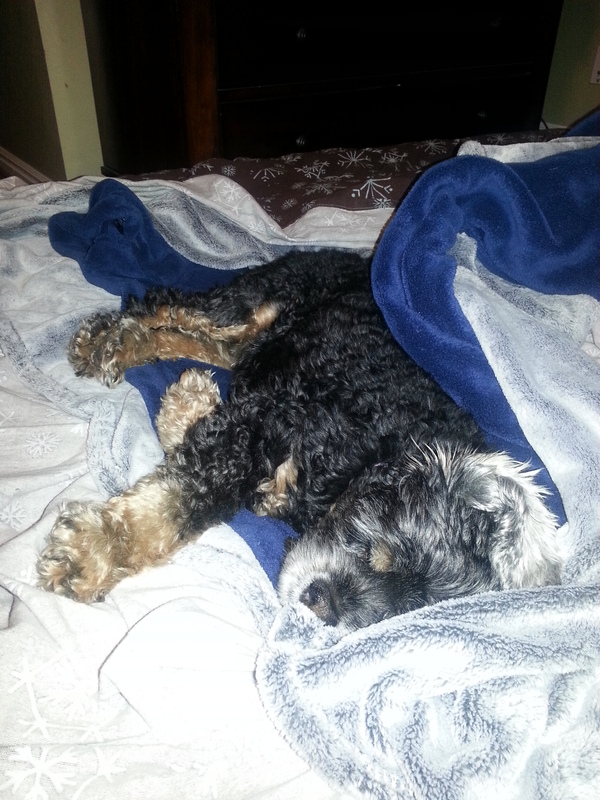 Every feel-good day in the past was overwhelmed by her loss of energy, appetite, and bodily functions. Other than the constant snuggles she wanted, I wouldn’t have recognized this dog as my own. I’ll skip to the end with a spoiler alert to let you know she’s fine and currently making her comeback, but it was a scary few days. Of course those days were ones on Nutcracker performances that had us away for extended periods of time. Not good for this anxious, worry-prone Momma. But we survived. It started with a hurt paw, a limp that wouldn’t go away and a trip to the vet to make sure nothing was broken, fractured, sprained, etc. He gave us some pain pills and sent us on our way. That was Wednesday, the day before Thanksgiving. Bella is usually a champ about taking pills, but she would gag every time we’d give her the pain pill. I think she was trying to tell us something. Fast forward to Thanksgiving night, when all hell broke loose. And by hell I mean diarrhea. Now who’s gagging, Bella? I’ll seriously spare you (most) details—this IS my blog, after all—but the following day brought a lot of clean-up on Aisle Kitchen and Aisle Laundry Room and ended with me sleeping on the floor (with no air mattress since we realized that night that our pump was broken) with her to keep her still and to also know when she needed to go out. This is actually a photo from the next morning. 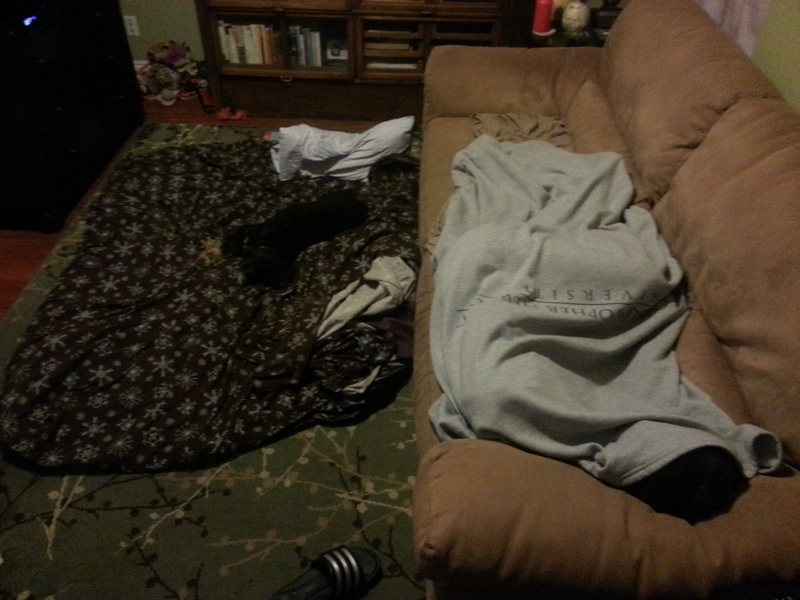 Bella, wiped out on the floor and Joe hiding under that gray blanket. We were walking her once an hour—even through the night. I felt like a parent of a newborn. CONSTANT care. CONSTANT supervision. CONSTANT worry. 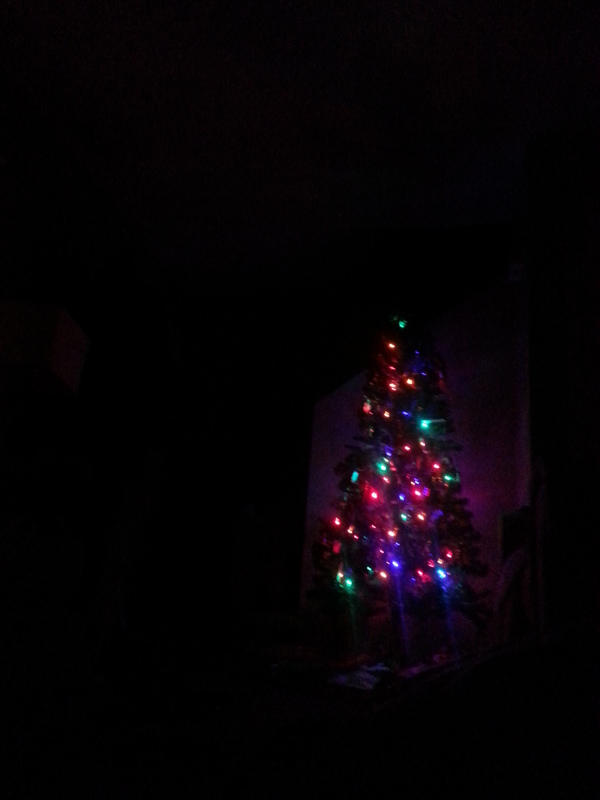 But at least I had this view from the floor every night. At that point she wasn’t eating at all. Why bother when it would come out or up in a matter of minutes? She’s smart, even when she’s sick. The next day we made a trip back to the vet. Those pain pills were pulled immediately from her diet (which we already did the day before), antibiotics added, and they gave her an injection to stop the nausea. That was really a turning point – that injection. She slept and slept and slept and slept after getting it. I could tell she was exhausted. God, we were too at that point. Bella ended up just eating rice with a probiotic powder for almost six days. SIX DAYS! We slept with her on the floor (but with a borrowed air bed) for all of those nights. Not only could she stay close to us, which has been her MO since she started feeling bad, but she also didn’t have to jump down from a bed when an emergency was about to strike, further injuring her paw. She would just get up, stick her face in mine or Joe’s, and we were off to the yard. Joe and I keep reminding ourselves that Bella’s the best dog. We knew this, of course, but man did she show her true colors this week. What a champ, what a sweetheart, what a considerate dog. I mean, really, what dog can have explosive diarrhea in a kitchen and manage to not get any on the carpet, rugs, appliances or pantry/food? She’s magical like that. Things are slowly getting back to normal. She’s eating her food. We’re sleeping in our bed and she’s in hers. She’s mostly back to her energetic self, but does seem wiped out at times. Who wouldn’t? It was a long week and a half — it was so incredibly heartbreaking to see her in pain and constantly uncomfortable. I’m so thankful she’s feeling better…though I’d be lying if I didn’t say I would miss those dead-weight snuggle sessions she would insist on every day. Sweet moments for sure. This post is should be sponsored by Clorox Bleach, Paper Towels, and Alcohol (drinking, not rubbing). Poor Bella!! So glad she’s starting to feel better!! Hugs and love to you and Joe! Constant Vigilance ala Mad Eye Moody! Glad to hear she is on the mend and hope you all are getting back to normal. Hugs!